Beck's beer has been brewed in Missouri since 2012. Beck's, which used to call itself "America's favorite German beer," is going to have to be a little more clear about its provenance. Since 2012, the beer, now a part of the same company that brings you Budweiser and Bud Light, has been brewed in Missouri. But its packages still say things like "German Quality" and "Originated in Bremen, Germany." 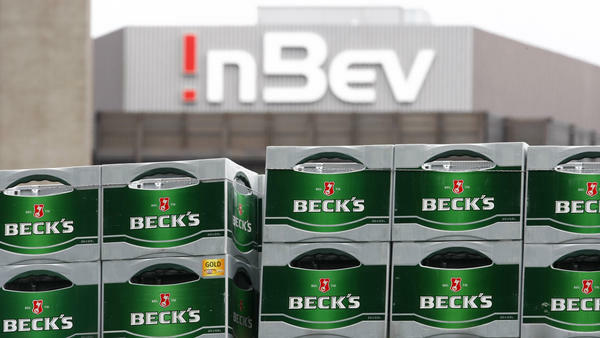 A class-action lawsuit accuses the giant brewer Anheuser-Busch InBev of tricking American beer drinkers into believing that Beck's is still brewed abroad. Now a federal magistrate in Miami has given preliminary approval to a settlement, first reported by The Wall Street Journal, that requires the company to provide refunds of up to $50 to Beck's drinkers, providing they kept their receipts. Even if you weren't so farsighted, or lost track of your receipts after quaffing a few of the green bottles, Beck's drinkers can still qualify for a $12 payment. "A statement on the bottle saying the beer is made in the U.S.A. will become more visible. The green boxes in which the bottles are packaged also will specify that the beer is made in America. AB InBev faced a similar class action involving the marketing of its Kirin beer. In that case, which settled late last year in a Florida circuit court, the claim was that consumers were led to believe the beer was from Japan." Beck's is hardly the only brew with a foreign pedigree that is no longer imported. Red Stripe, a staple of beach-side shacks in Jamaica, is now brewed in Latrobe, Pa. Foster's, which used to tout itself as "Australian for beer, mate," might more properly sport a Texas twang, as it's now made in Ft. Worth. The nation's top-selling import, Corona, is still brewed in Mexico, and the No. 2 import, Heineken, still comes from the Netherlands.